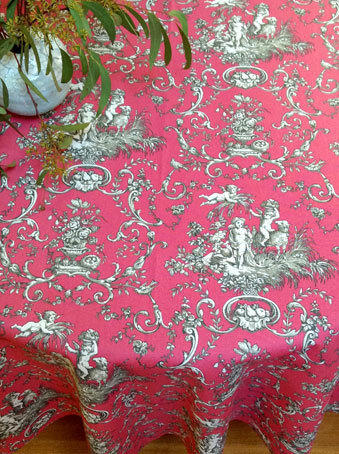 Toile de Jouy, sometimes abbreviated to simply "toile", is a type of decorating pattern consisting of a usually white or off-white background on which a repeated pattern depicting a fairly complex scene, generally of a pastoral theme such as (for example) a couple having a picnic by a lake. 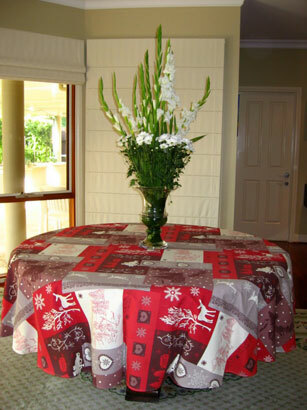 Toiles also often consists of an arrangement of flowers. 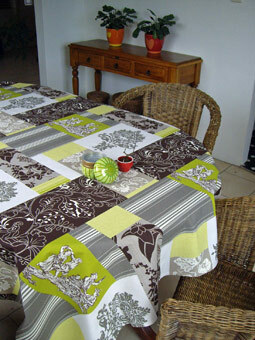 The pattern portion consists of a single colour, most often black, dark red, or blue. 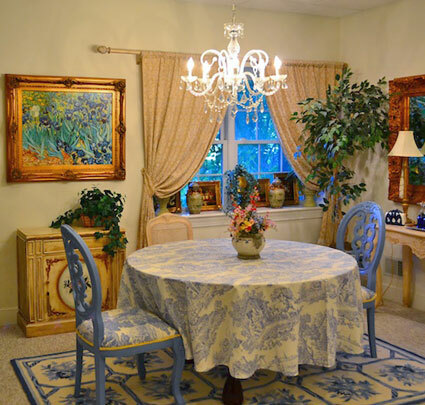 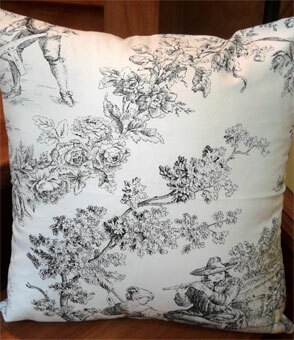 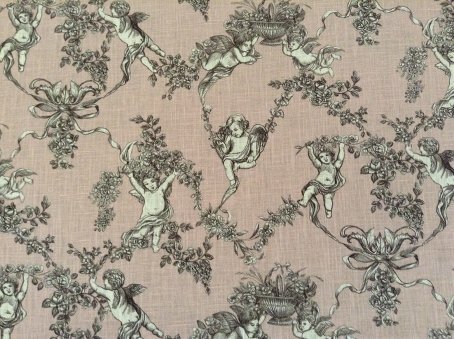 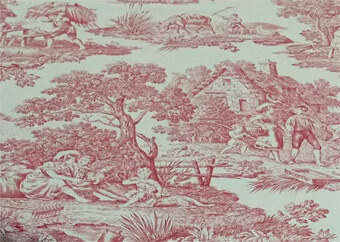 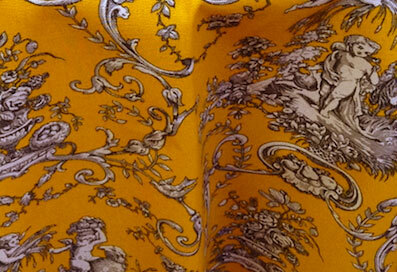 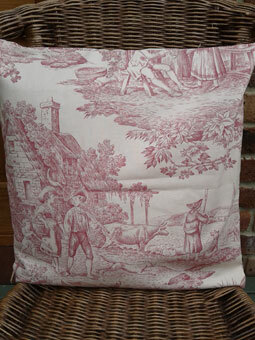 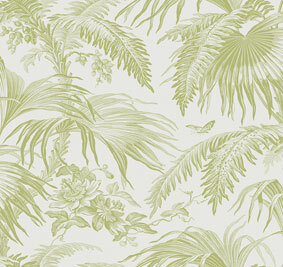 Toile de Jouy originated in France in the late 1700s. 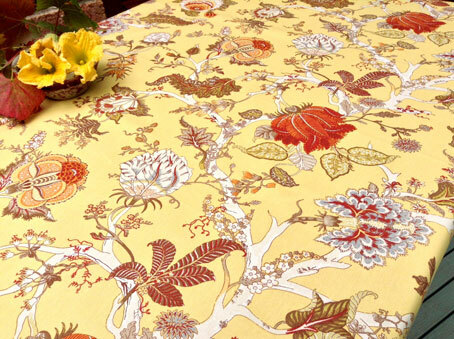 In the French language, the phrase literally means "cloth from Jouy-en-Josas", a town of north-central France. 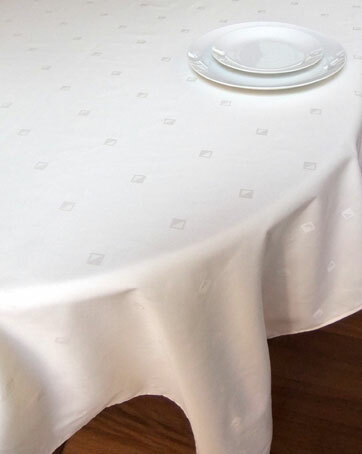 Although it has been continuously produced since then, it experienced a marked upsurge in popularity around the year 2000. 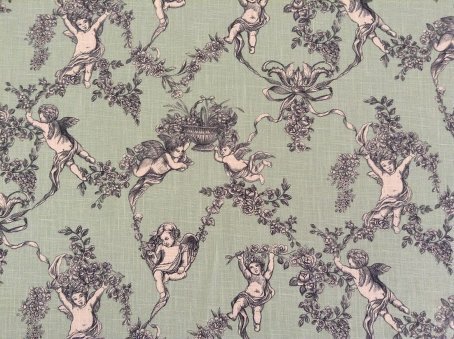 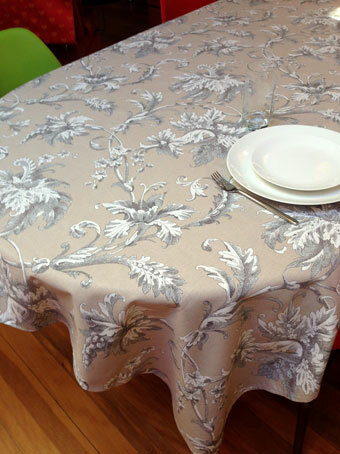 Our toile de Jouy fabrics are traditional cotton fabrics suitable for table linen, upholstery or soft furnishing. 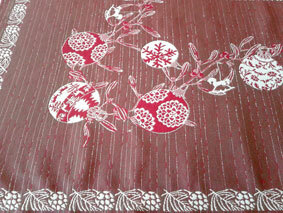 These fabrics are 280 cm / 110 inch wide. 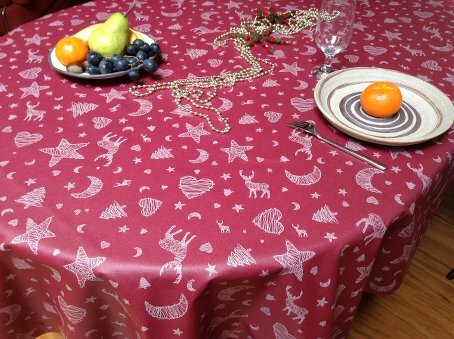 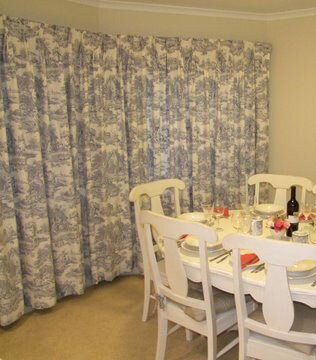 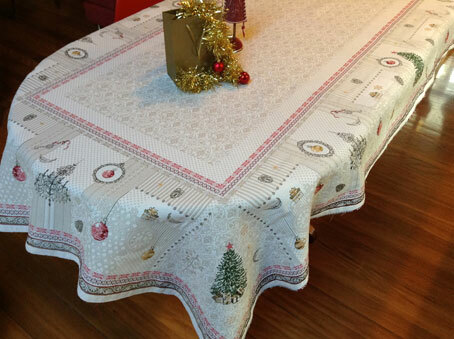 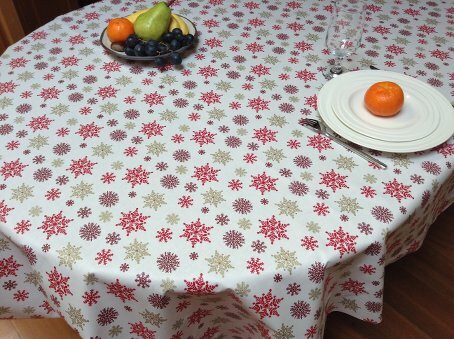 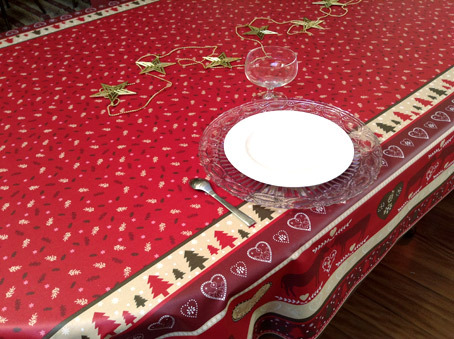 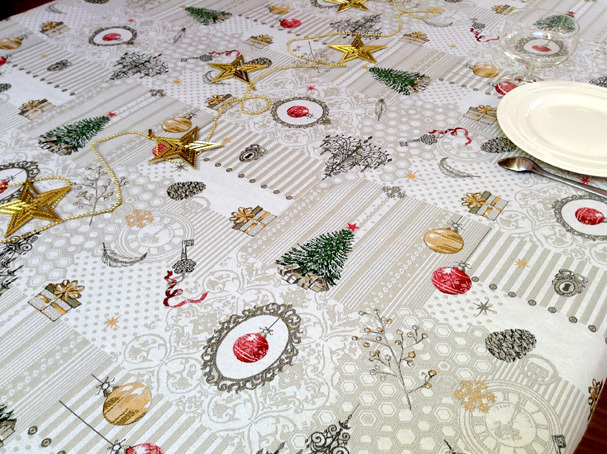 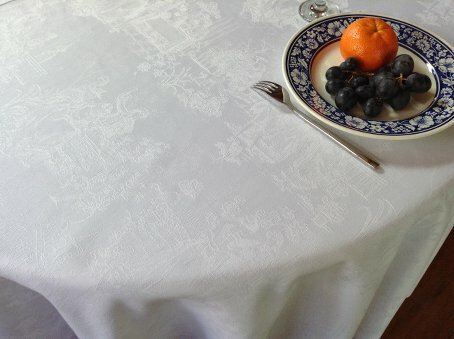 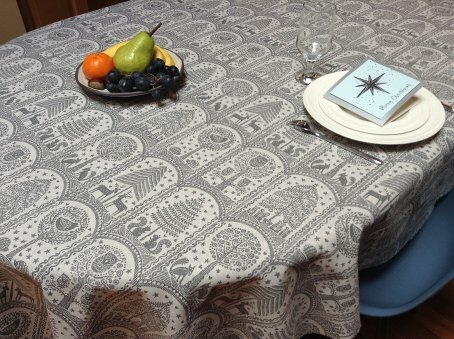 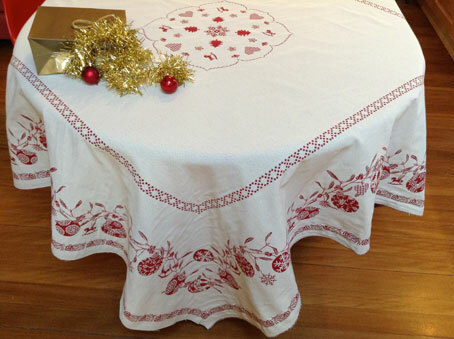 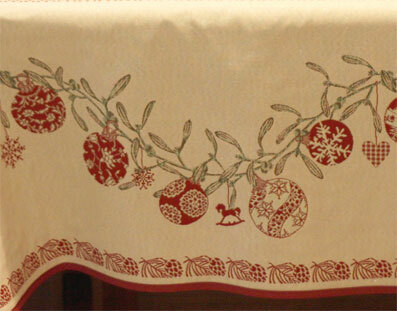 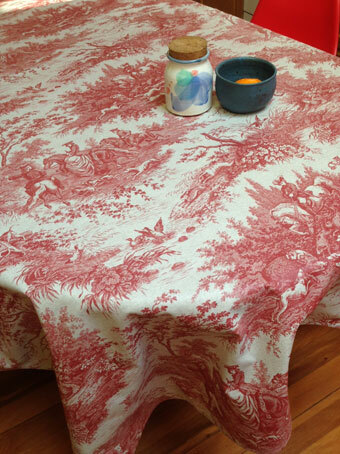 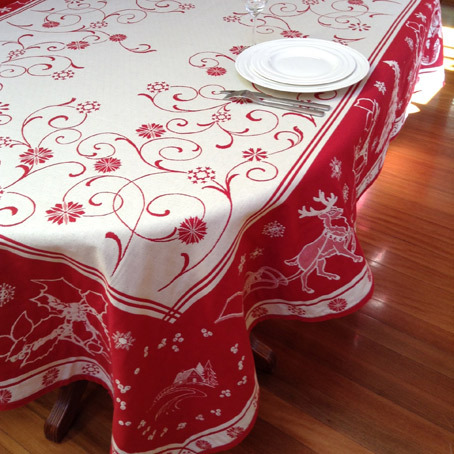 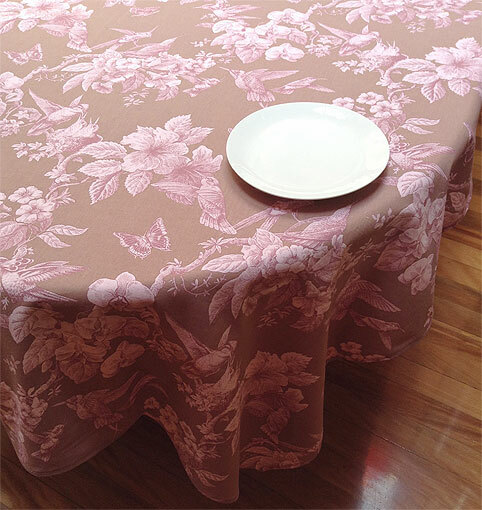 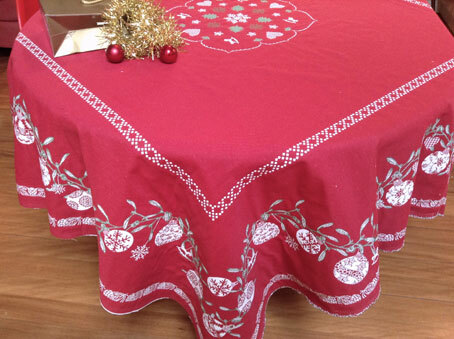 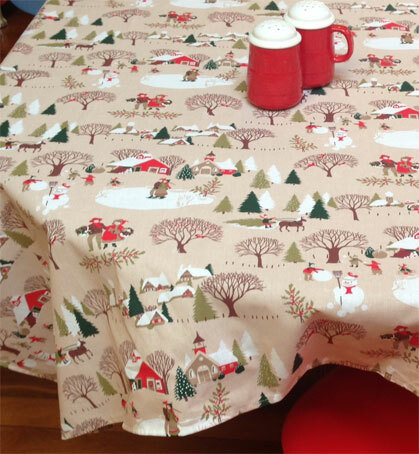 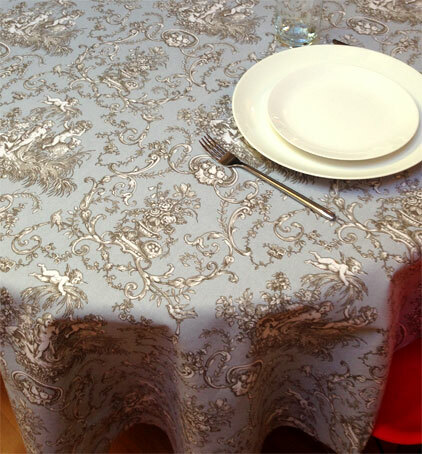 We have rectangular, oval, square and round toile de Jouy tablecloths to suit tables of any size and shape. 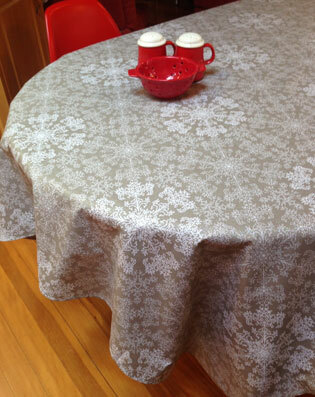 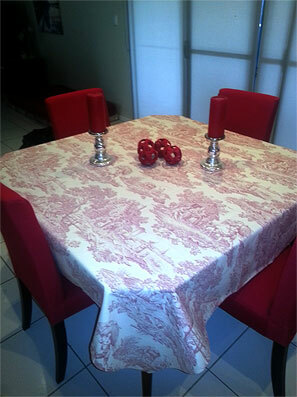 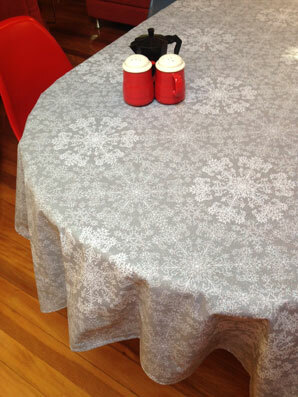 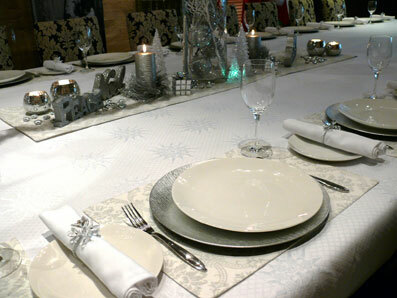 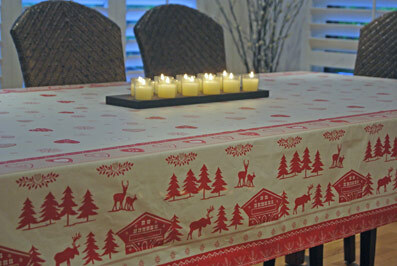 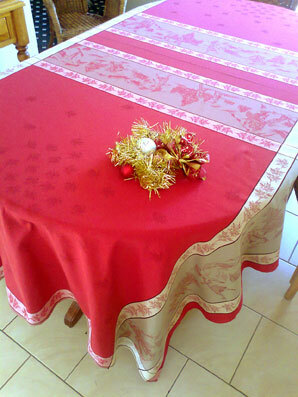 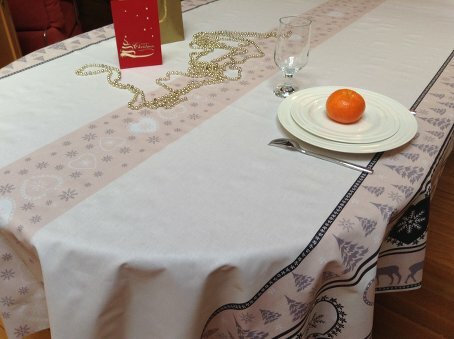 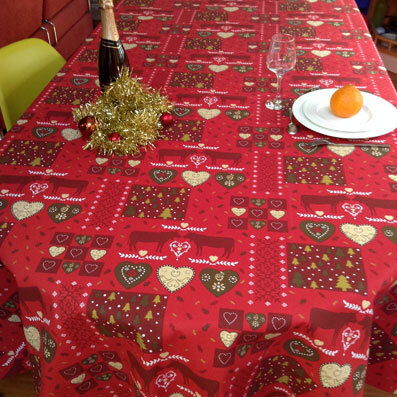 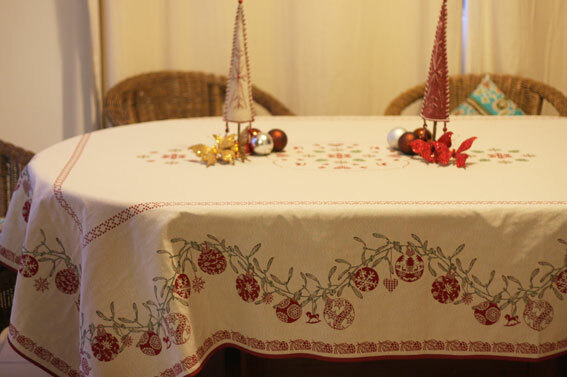 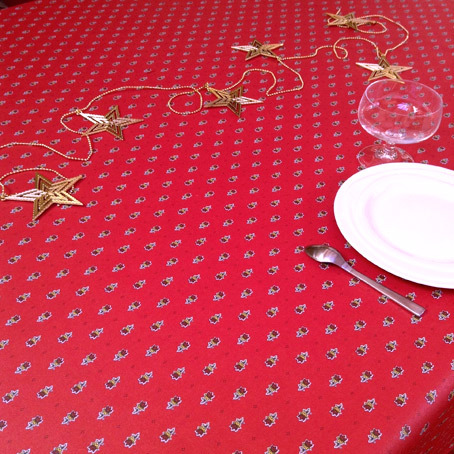 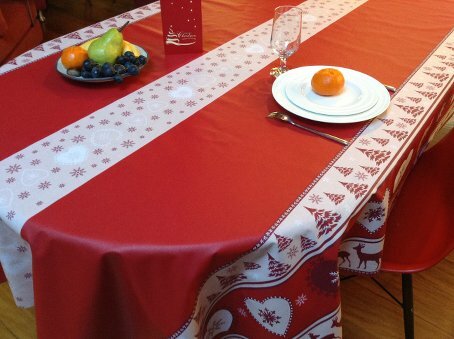 A big "Merci" to all our customers who provided personal photos of their tablecloths used in this website. 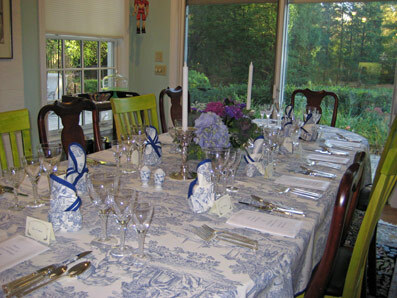 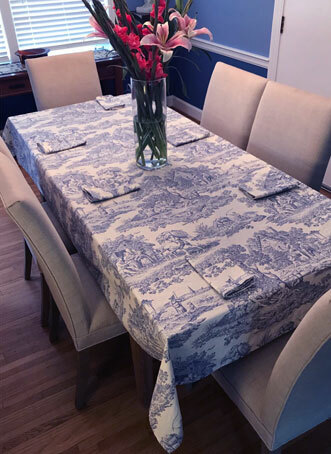 Joan from Illinois set up her table for a party using a French Countryside blue on white toile de Jouy tablecloth with complementing toile napkins with binding. 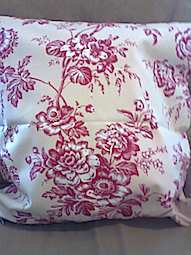 curtains and upholstery, 280 cm (110 inch) wide. 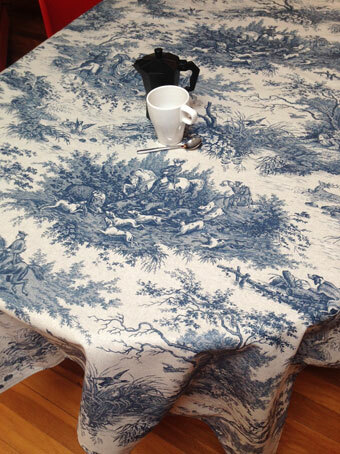 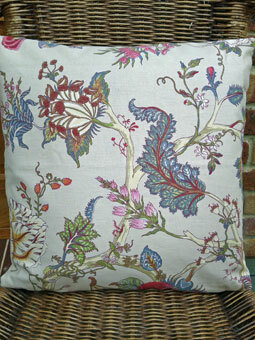 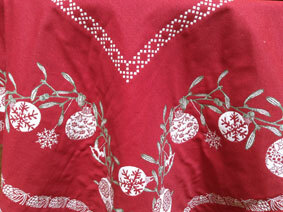 We can make very large tablecloths in this highly decorative French toiles de Jouy fabrics which are 280 cm / 110in wide. 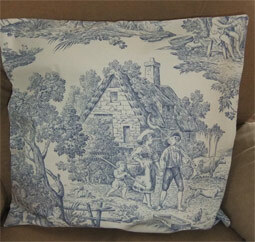 We also sell this material by the meter/yard. 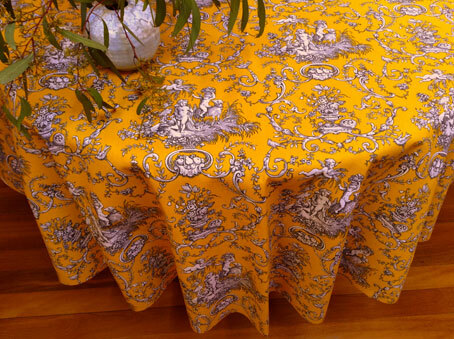 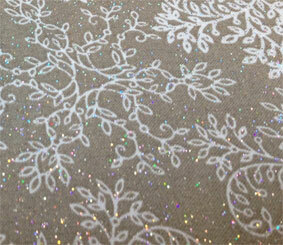 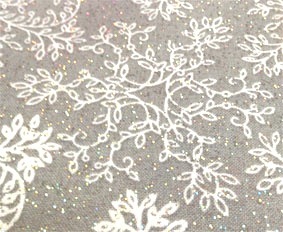 It is an excellent curtain or upholstery fabric. 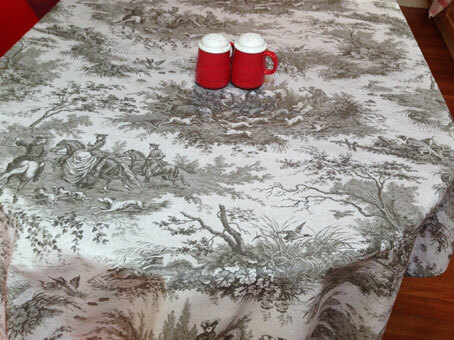 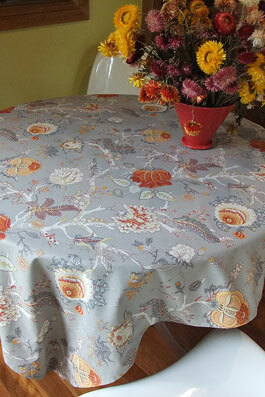 We can make very large tablecloths in these French toile de Jouy fabrics which are 280 cm / 110in wide. 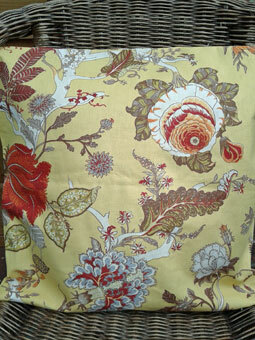 We also sell this material by the meter/yard. 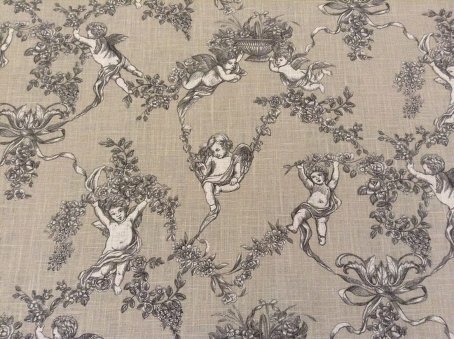 This highly decorative toile de Jouy fabric with subtle blue and grey tones is ideal for table linen, bedspreads and soft upholstery. 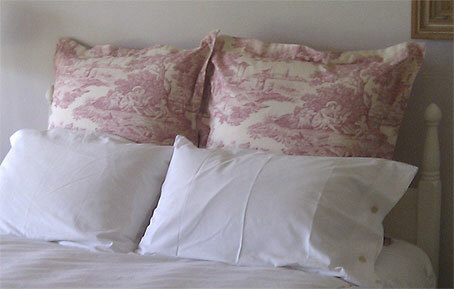 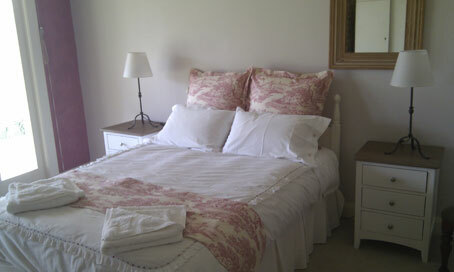 Brightly coloured in hot pink or bright yellow, Gabriella pink and Gabriella yellow make a statement in decoration! 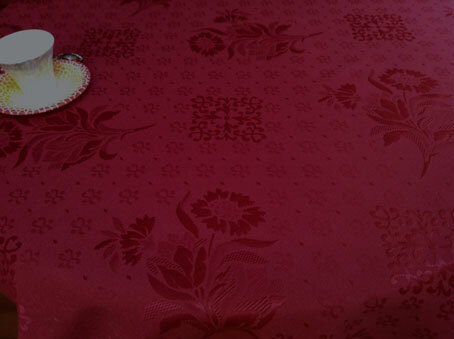 Liana toiles fabrics are very wide. 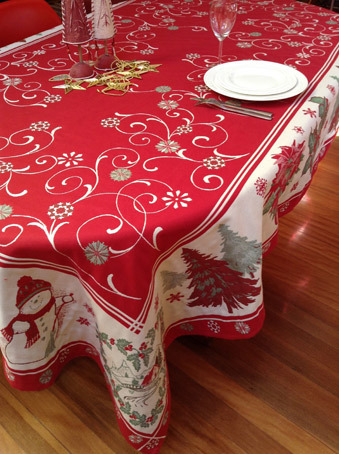 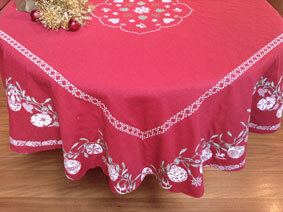 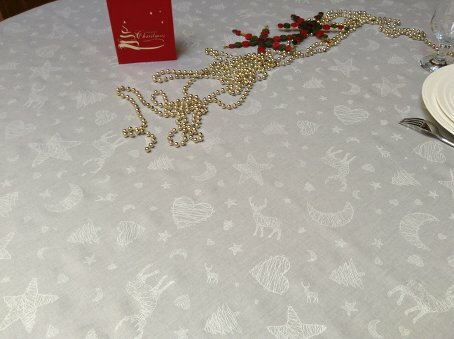 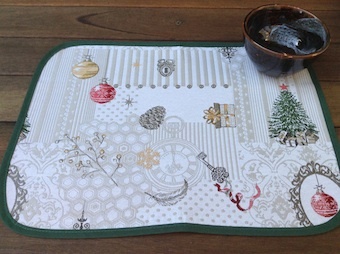 They are well suited for large tablecloths, in particular 90in and over round tablecloths. 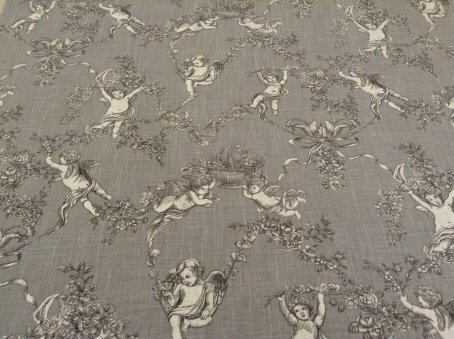 in our "On Sale" page. 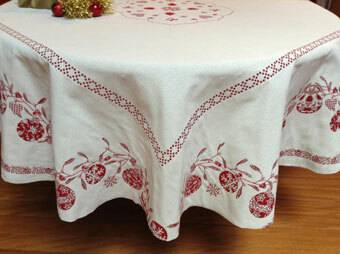 and very large round or square tablecloths.